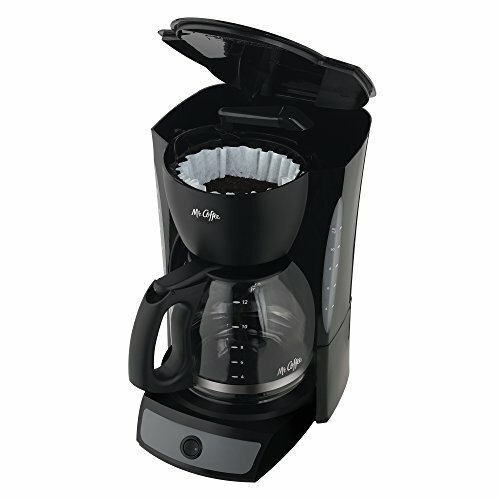 This next pick is a nice basic coffee maker without all the bells and whistles. If you are just looking for a basic coffee maker that is simple to use and not looking for a costly option, this may be a good choice. The Mr. Coffee CG13 12­Cup Switch Coffeemaker is a basic coffee maker that does exactly what it says, makes a good cup of hot coffee without all the complicated instructions to study, the machine has some good features, including the Brewing pause ‘n serve feature, which means when you can’t wait for your coffee while the machine is brewing, you can pause it, pour yourself a cup of coffee, and then resume after you have got your coffee. There is a light to indicate whether the machine is switched on or off, unfortunately, there is no auto shut off like with The Mr. Coffee BVMC­SJX33GT, but for simplicity, the coffee maker is just turned on and off manually which is preferable to people, as it keeps coffee hot until they decide to turn it off. The coffee maker will produce great tasting coffee, as it features Water filtration adaptable to reduce up to 97% of chlorine for better­ tasting coffee. BPA free. (Filter sold separately) So whatever your choice of coffee beans, you will only taste the coffee and no chlorine. The removable filter basket can be easily lifted out when cleaning, rinsing or filling, and for accurate filling, there is a dual water window showing the amount of water in the reservoir. 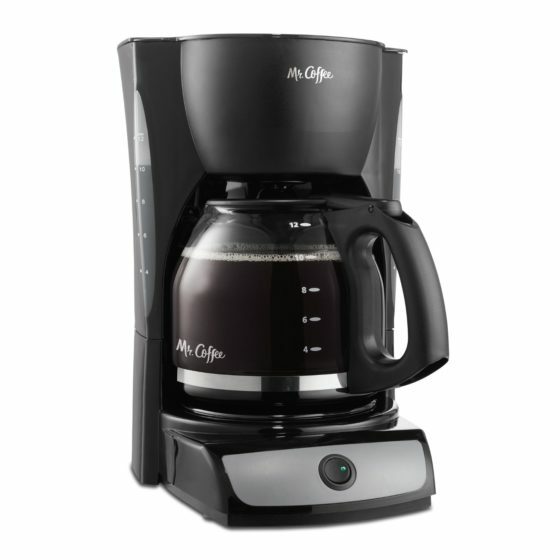 The Mr. Coffee CG13 12­Cup Switch Coffeemaker is a good and affordable coffee maker, it is very basic and simple to use, if you are just looking for a decent coffee maker that does the job without all the frills, this is a great choice.